RAS Reporting does not function with RAS 15.0.3864, if older RAS builds are used in the environment. 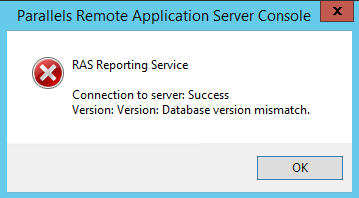 RAS release 15.0.3864 utilizes a changed reporting protocol, not compatible with previous builds. In order to solve the issue, update all RAS components to version 15.0.3864 or above.